Tuition-free college is starting to become more popular as various states realize that college tuition costs are out of control and without a skilled, educated workforce, they will be struggling to fill vital positions within their state. If companies can’t find skilled and educated workers to fill their positions, those business may choose to set up shop elsewhere. Worried that you can't afford tuition costs? Your state may have a free college program. Most states that offer free college will have similar sets of basic rules in order to qualify for their program. You will need to be a resident in that state, likely need to take a certain minimum number of credits per semester, keep a certain satisfactory academic standing and obviously be accepted to attend the school of your choice. Take a look at the states offering free college below and once you find your state, sign up for an account at CollegeFactual.com. From here we can show you which schools may appeal to you and will be your best fit after creating your profile. The Offer: The 21st Century Scholarship offers to pay student’s tuition at eligible two and four year colleges and universities. The Stipulations: Students must earn their high school diploma from a high school in Indiana and have at least a 2.5 GPA after graduating. Students will need to complete at least 30 credit hours per year to ensure the degree is earned in a timely manner. The Offer: New York offers the Excelsior Scholarship which will cover tuition for students whose families earn $125,000 or less each year. The Stipulations: Students must be a resident of New York State, attend a SUNY or CUNY two or four-year program and take 30 credits per year. After graduation, students must remain in New York State for the same length of time they participated in the program. The Offer: The Nevada Promise scholarship offers to pay the cost of registration and other mandatory fees for students enrolling in associates or bachelor’s degree programs for up to three years of education. The Stipulations: Students must be a resident of Nevada and must enroll in college immediately after high school graduation. Students will need to enroll in a minimum of 12 semester credit hours and perform 20 hours of community service. The Offer: The Arkansas Future Grant offers students wishing to study in the Science, Technology, Engineering, and Math fields an opportunity at a free tuition. Other regional degrees which are in “high demand” are also covered. The Stipulations: You must have graduated from an Arkansas high school or lived in the state for three years immediately prior to applying. You must also continue to reside in Arkansas for an additional three years after graduation. Students are also expected to perform fifteen hours of community service each semester. The Offer: The California Promise Grant will waive tuition for one year at one of California’s 117 participating community colleges. The Stipulations: In order to qualify for and retain the grant, students need to maintain a GPA of 2.0 or higher and complete more than 50% of your coursework in two consecutive terms. Students must also qualify based on family income. The Offer: The SEED Program (Student Excellence Equals Degree) offers Delaware students tuition-free college when attending a Delaware Technical Community college or the Associates in Arts program at the University of Delaware. The Stipulations: Students must graduate high school with a 2.5 or higher GPA and cannot have been convicted of a felony. The program will cover up to six semesters of college. The Offer: Hawaii Promise is a state scholarship based on need for students attending any community college campus of the University of Hawaii. The Stipulations: Students will need to be enrolled in 6 credits per semester and must be a resident of Hawaii and not already have a bachelor’s degree. Students must also maintain satisfactory academic progress by keeping a 2.0 or better GPA. See Indiana in the Four Year School section above. The Offer: The Work Ready Kentucky scholarship program offers up to 32 credit hours tuition-free to Kentucky residents who have earned their high school diploma or equivalent. Only select schools and programs are covered mostly in hands-on trade fields in healthcare, manufacture ring, construction, logistics, and business. The Stipulations: The main selling point behind the Work Ready Kentucky program is to “get in, get out and get to work.” The eligible programs are mostly short-term programs that can be quickly completed in as few as four months. For this reason, the scholarship ends when you receive an associate’s degree, receive four terms of tuition-free college or have 32 credit hours of enrollment. The Offer: Students enrolling in an MN State Community college and wishing to pursue a degree in an in-demand field may receive tuition-free instruction up to a maximum of 72 credits. Note that for the 2016-2018 school years, this is considered a pilot program. As this is the second year for the program, a decision has not been made whether or not to renew. The Stipulations: Students must be a resident of Minnesota and have an adjusted gross income of $90,000 or less. They must also enroll in one of a list of approved majors, be willing to participate in free mentoring services and maintain a GPA of at least 2.5. The Offer: The A+ Scholarship program offers to reimburse students for tuition and other required fees after all other non-loan assistance is taken into account. This applies to students attending participating community and vocational colleges within Missouri. The Stipulations: Students must enter into a written agreement with their high school to participate in the program. The high school the student attends must also be a participant in the A+ program. An overall GPA of 2.5 or better is required at time of graduating high school and high school attendance must be at least 95% for grades 9-12. Students must also participate in community service by volunteering to tutor others while maintaining a clean record. The Offer: The Montana Promise Act applies to students applying to Montana community and tribal colleges. The Stipulations: Students must be a resident of Montana for at least twelve months prior to attending college and must be enrolled at least half-time. A 2.7 or higher GPA must be maintained and a limit of 60 credit hours is enforced before funding expires. See Nevada in the Four Year School section above. See New York in the Four Year School section above. The Offer: The Oklahoma Promise scholarship offers families tuition coverage. The Stipulations: Parent’s adjusted gross income must not exceed $55k per year and the student must be a resident of Oklahoma. Students must also meet specific academic and conduct requirements. 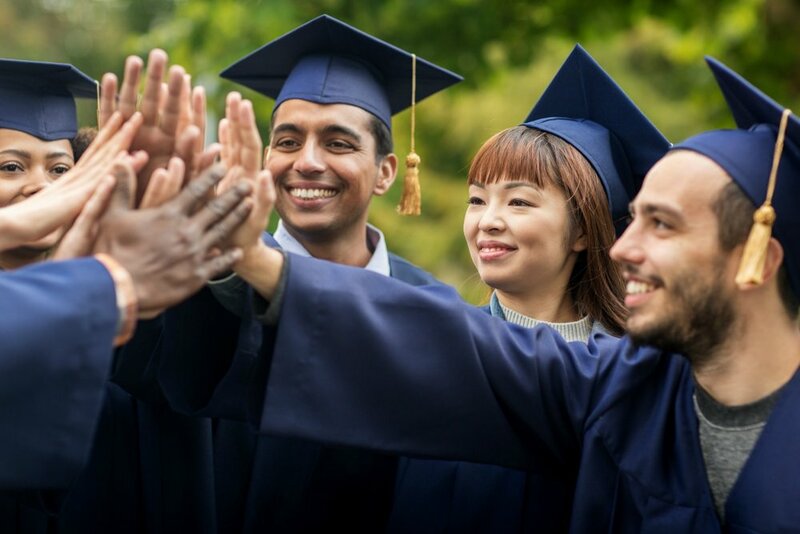 The Offer: The Oregon Promise Grant offers to cover tuition for students attending two-year colleges within six months of high school graduation. The Stipulations: Students must maintain a 2.5 or higher GPA while attending college at least half-time. Students must also have been a resident of Oregon for at least 12 months prior to attending college. There is a 90 credit limit so any college-level courses taken through high school or through summer courses will apply to the 90 credit limit. Once the limit is reached, funding will expire. The Offer: The Rhode Island Promise program offers students attending one of the three Community College of Rhode Island’s campuses free tuition to obtain their associate’s degree. The Stipulations: Students must be a resident of Rhode Island, attend college full time and enroll directly after high school. Students must maintain a GPA of 2.5 or better and must complete 30 credits per year. The Offer: The Tennessee Promise program was one of the first states that offer free college starting in 2015. This program covers tuition for students wishing to receive an associate’s degree in Tennessee. The Stipulations: Students under this program have some pretty basic stipulations to meet – they must keep a 2.0 or better GPA and perform eight hours of community service each academic term. The Offer: The WV Invests Grant offers to cover tuition and all required fees for completing a two-year degree. The Stipulations: The main stipulation here is that you must continue to reside in West Virginia for a period of two years after you graduate.